After its box office winning streak was snapped with “Solo: A Star Wars Story” flopping, Disney is turning to Pixar and “The Incredibles 2” to get back to its record-breaking ways. 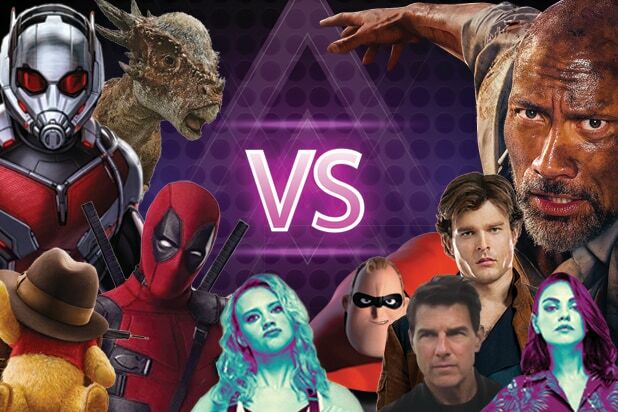 And some box office trackers think that new records may indeed be set, as the sequel to Brad Bird’s superhero film could post the best opening weekend for an animated film in movie history. Pixar currently holds that record with “Finding Dory,” which made $135 million two years ago. Trackers are split on whether “Incredibles 2” will beat that, with some having it come just short at $125-130 million while others expect the new record to be set at $145 million. Disney is keeping its projections broad at $120-140 million as they release it on over 4,400 screens. But regardless of whether it tops “Finding Dory,” “Incredibles 2” is widely expected to become only the seventh animated film — and third by Pixar — to earn an opening weekend of more than $100 million. The first “Incredibles” opened to $70 million in 2004, and “Incredibles 2” will still have a higher opening than its predecessor even after inflation adjustments are made. 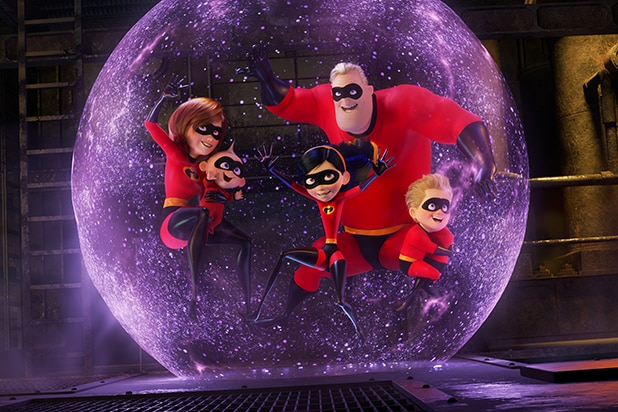 Taking place right after the end of the first film, “The Incredibles 2” sees the Parr family face a new family dynamic after Elastigirl is recruited for a campaign to help bring superheroes back. While she fights the bad guys, Mr. Incredible is left to take care of his three kids, including the infant Jak-Jak, who begins to develop his own powers. Brad Bird returns to write and direct, as well as provide the voice for fan favorite Edna Mode. Craig T. Nelson, Helen Hunt, and Samuel L. Jackson also return to the cast, being joined by “Better Call Saul” stars Bob Odenkirk and Jonathan Banks. Critics have nearly unanimously praised the film, giving it a current Rotten Tomatoes score of 97 percent. Also being released this weekend is Warner Bros./New Line’s ensemble comedy “Tag,” which is based on the true story of a lifelong group of friends who played a game of tag for 23 years. This comedy comes four months after New Line’s last comedy, “Game Night,” opened to $17 million and went on to gross a very solid $117 million worldwide against a $37 million budget. “Tag” is expected to open slightly below that at $13-15 million against a budget in the upper $20 million range. The film will open for Thursday previews on 2,900 screens and expand to just under 3,400 screens on Friday. The film stars Ed Helms, Jeremy Renner, Jon Hamm, Hannibal Burress, and Jake Johnson as the crew of friends, with the cast completed by Rashida Jones, Isla Fisher, Annabelle Wallis, Leslie Bibb, Brian Dennehy, and Lil Rel Howrey. Jeff Tomsic directed from a script by Rob McKittrick and Mark Steilen. Finally, there’s Sony/Silver Pictures’ remake of the famed 70s blaxploitation drama “Superfly,” which holds a Rotten Tomatoes score of 67 percent and will open on Wednesday without previews. Trackers expect the film to make $7-12 million over five days, with the film sporting a reported budget of $16 million. “Superfly” stars Trevor Jackson as Youngblood Priest, a career criminal who wants out of the Atlanta drug business, only to get dragged into even deeper trouble after one bad deal. Jason Mitchell, Michael Kenneth Williams, Lex Scott Davis, and Jennifer Morrison also star, with Director X helming the film. “Watchmen” co-writer Alex Tse penned the script, with Joel Silver producing with Atlanta rapper Future.